Today counts. Be a beast. Today counts. Every single day counts but right now, exactly where you are is what counts. Are you going to make the most out of today? You going to train hard and work hard to become even better than you were yesterday? Be a beast and make the most out of today! Make today count! This “Today counts. 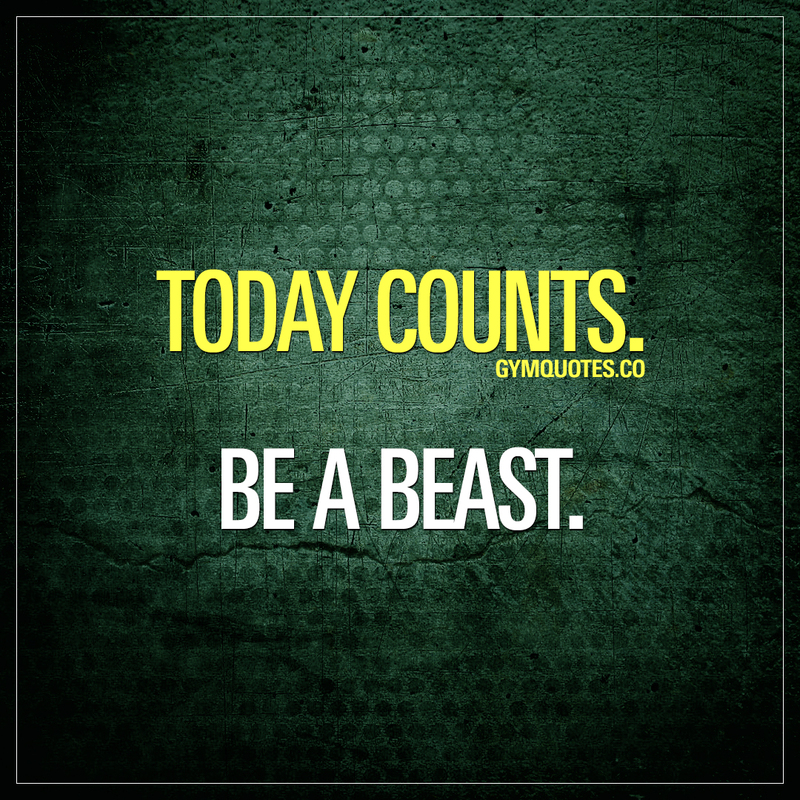 Be a beast.” quote (image and text) is copyright © Gym Quotes 2018. All rights reserved.